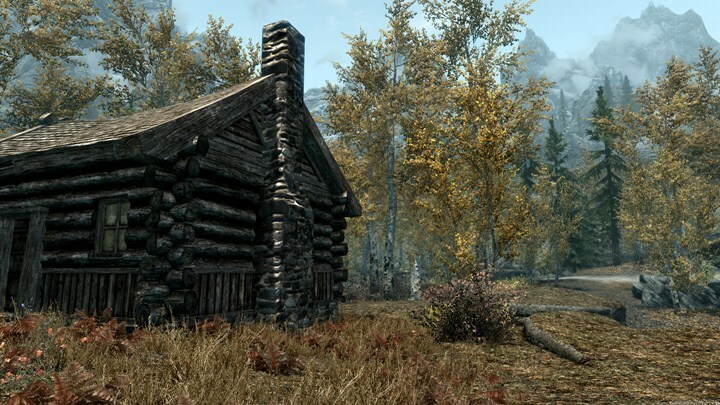 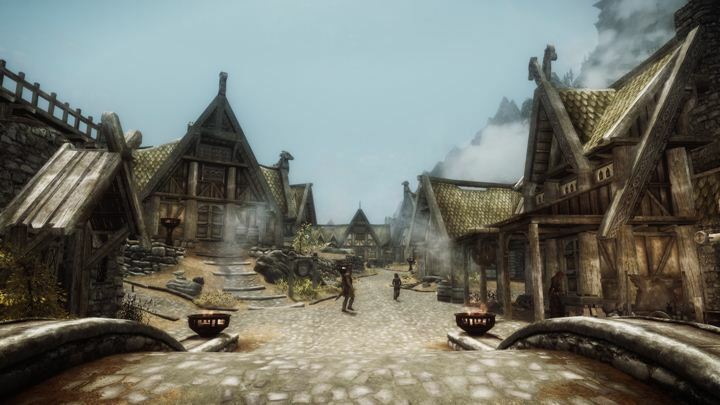 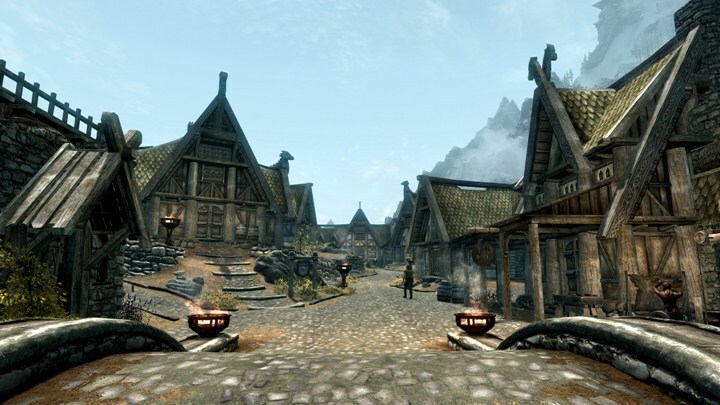 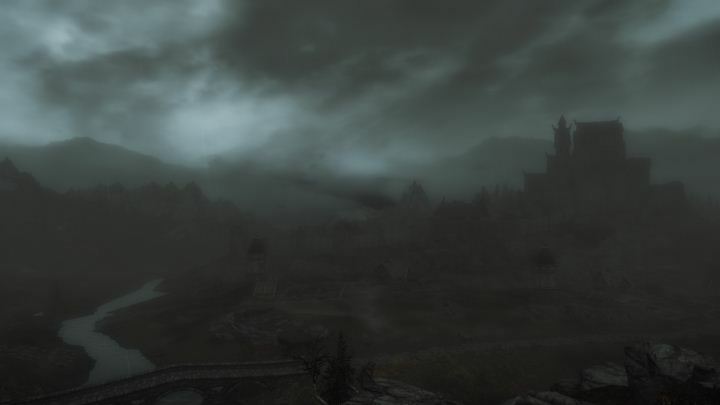 No.01, City BLOOM(Day), Whiterun, 12:00, SkyrimClear, Fast Travel (FT) and look at the top of Bannered Mare roof. 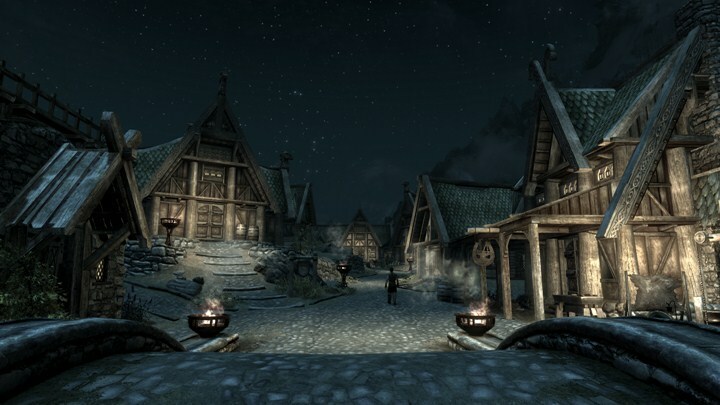 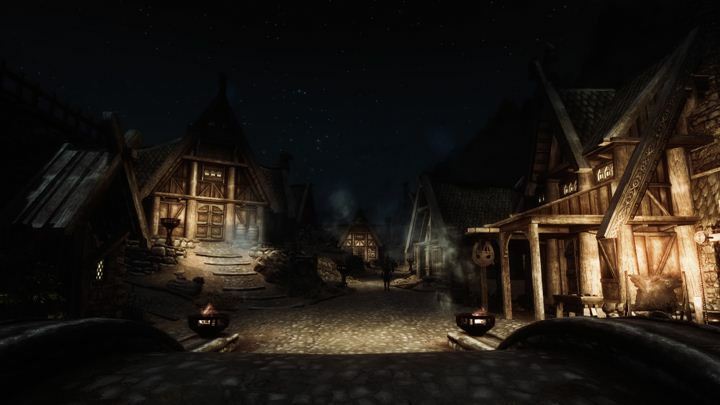 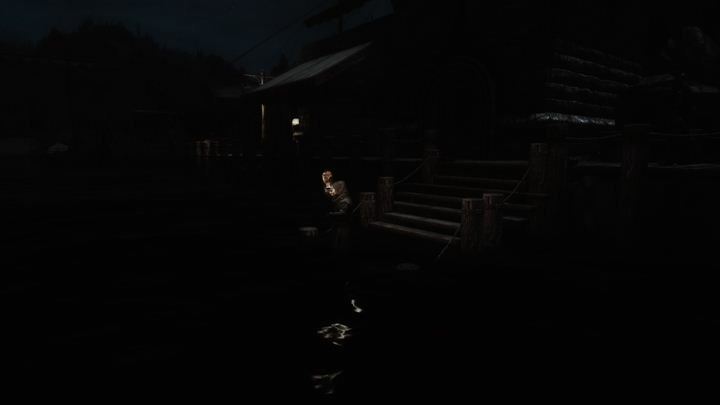 No.02, City Lighting(Night), Whiterun, 00:00, SkyrimClear, Fast Travel (FT) and look at the top of Bannered Mare roof. 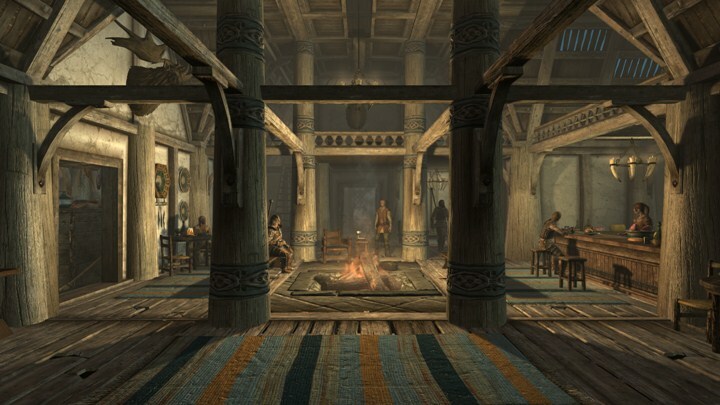 No.03, Room Interior(Night), The Bannered Mare, 00:00, , Enter at the front door. 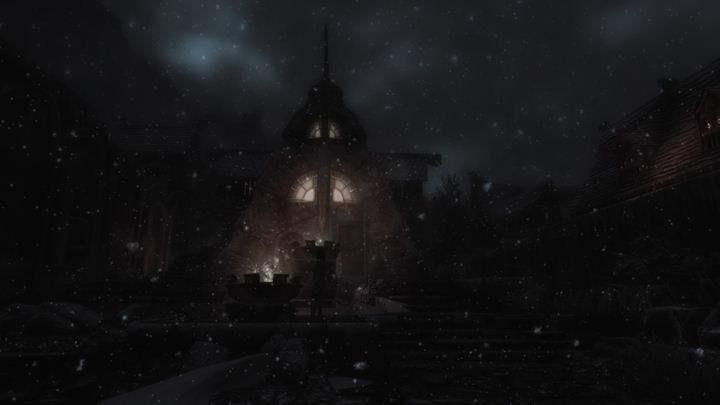 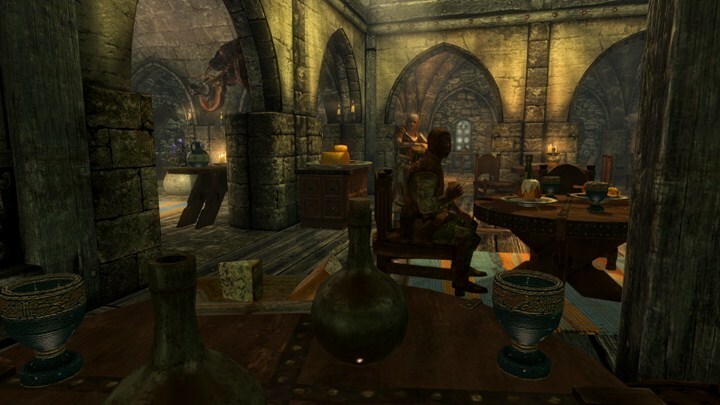 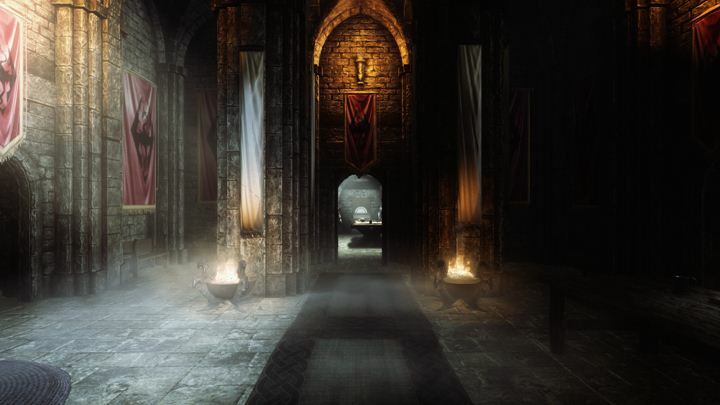 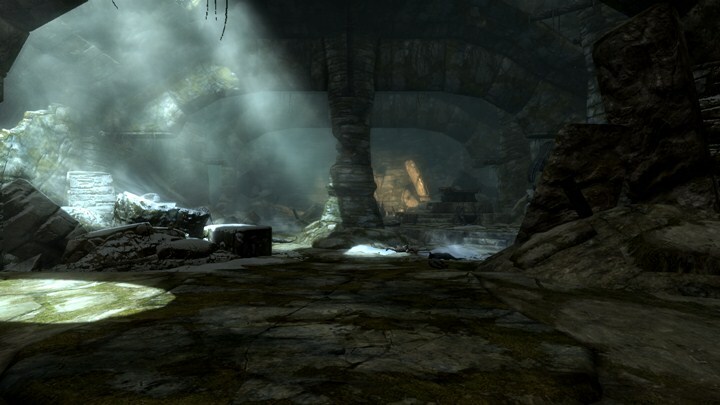 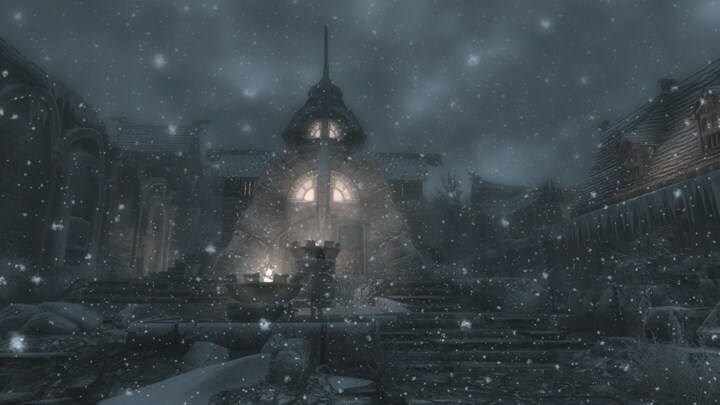 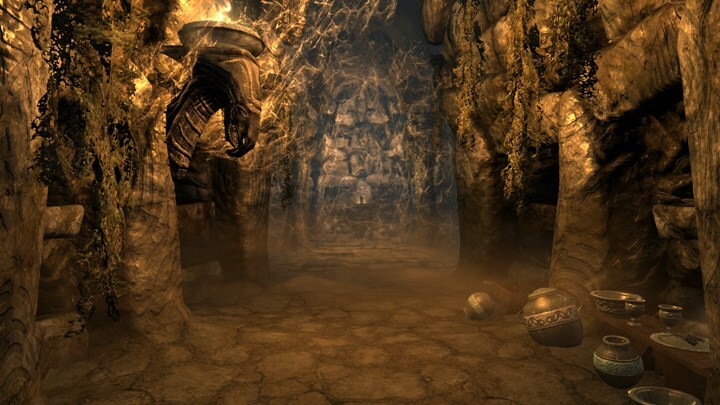 No.04, Dungeon (Day), Bleak Falls Temple , 12:00, SkyrimClear, FT to Bleak Falls Barrow and enter at the Temple hall. 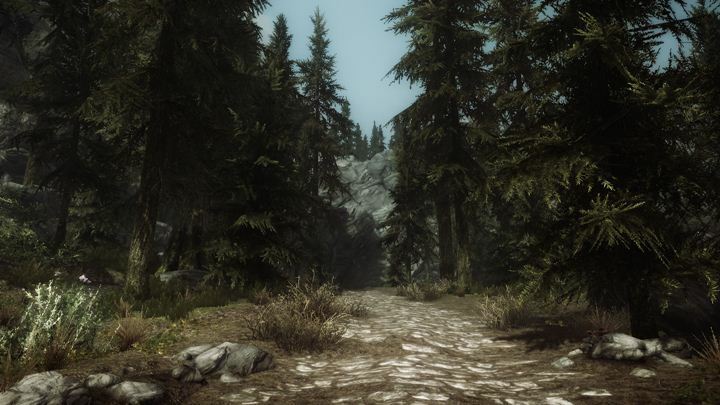 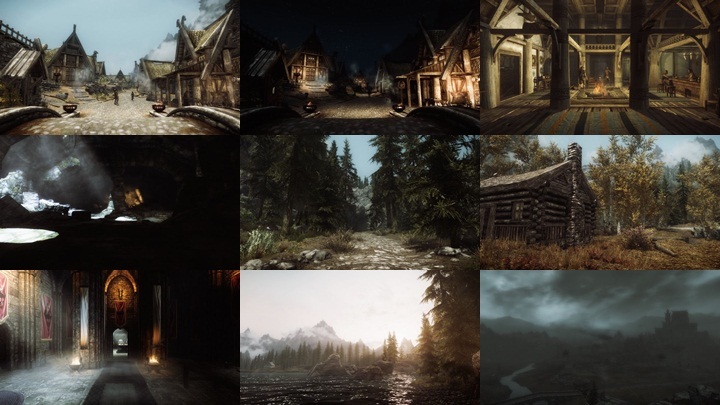 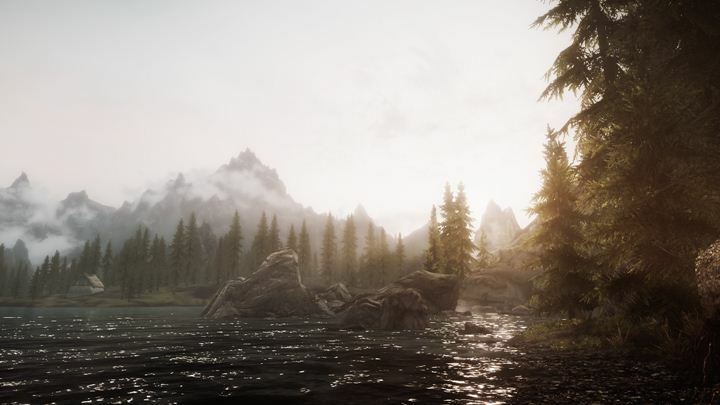 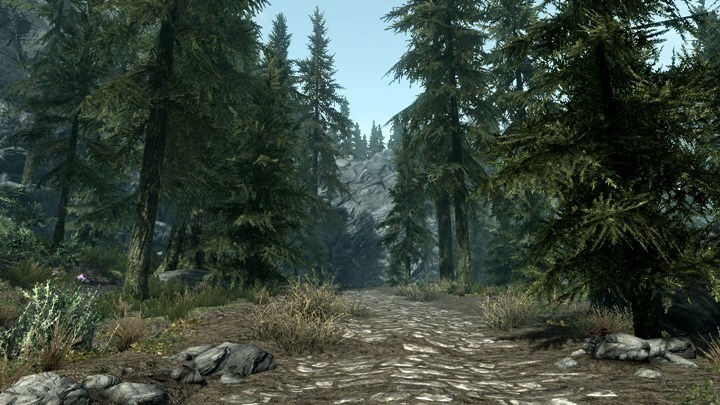 No.05, Forest (Morning), Falkreath, 10:00, SkyrimClear, FT and look back. 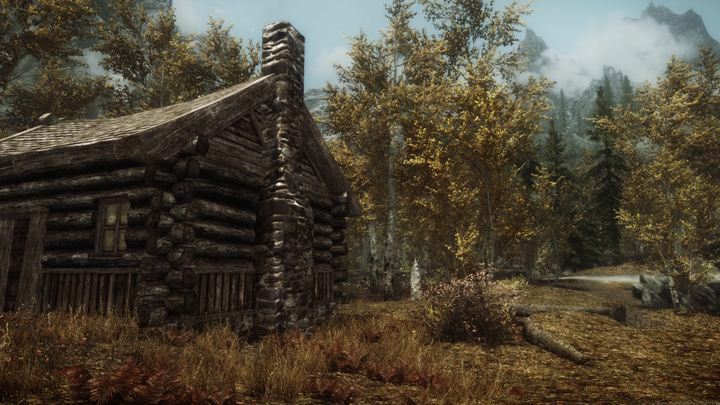 No.06, Red and yellow leaves (Day), Snow-Shod Farm, 12:00, SkyrimClear, FT and look towards a home. 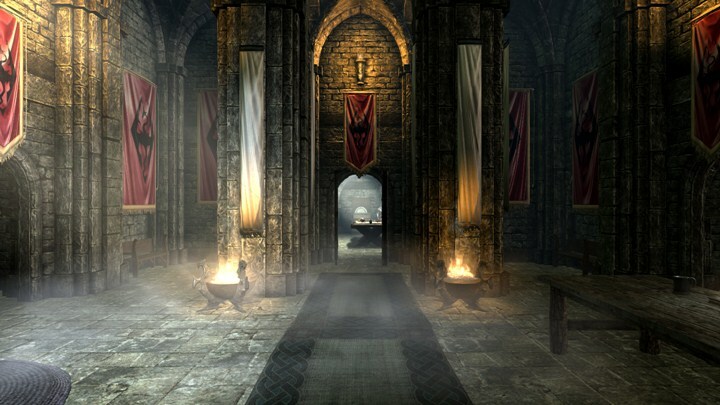 No.07, Masses of light and shadow (Day), Castle Dour, 12:00, , FT Solitude and Go into the Castle Dour. 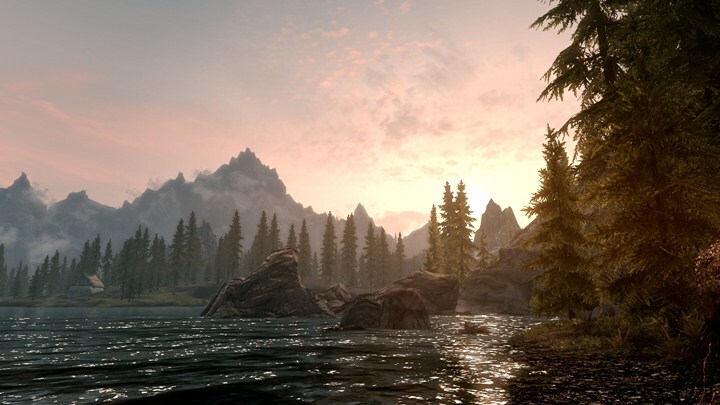 No.08, Sun rays Water (Evening), Ilinalta's Deep, 17:30, SkyrimClear, FT and look towards mountains. 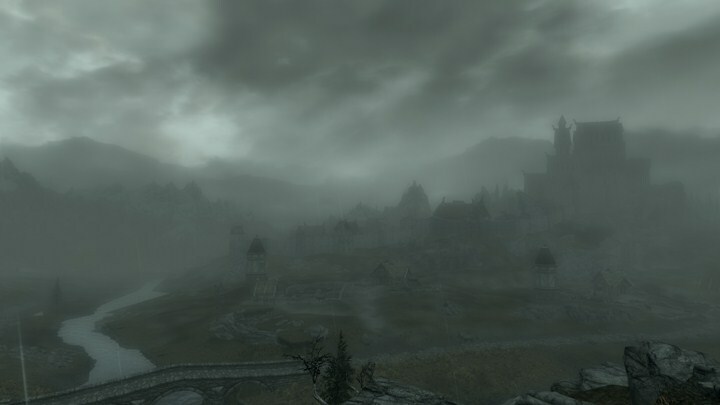 No.09, Storm Rain Fog(Day), White River Watch, 12:00, SkyrimStormRain, FT and look towards mountains. 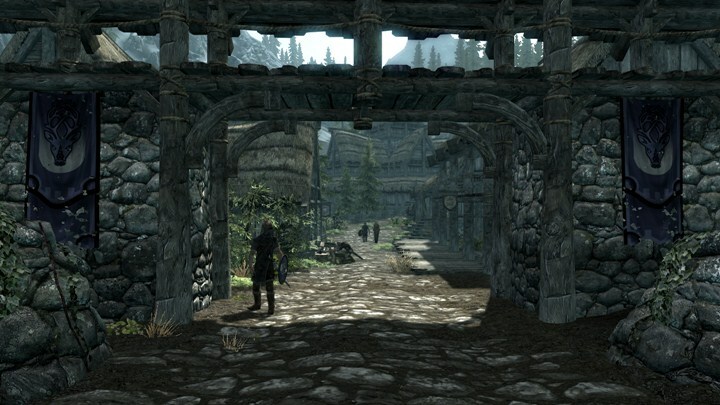 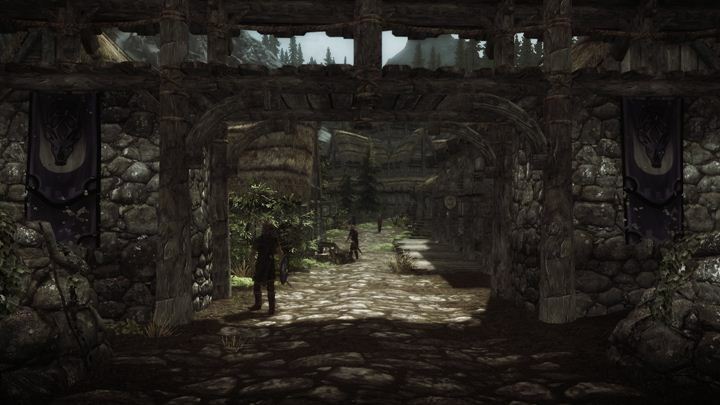 No.11, City SSAO(Day), Falkreath, 12:00, SkyrimClear, FT Falkreath. 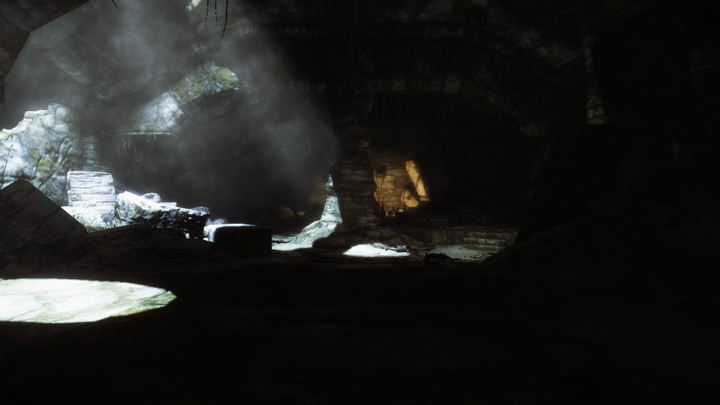 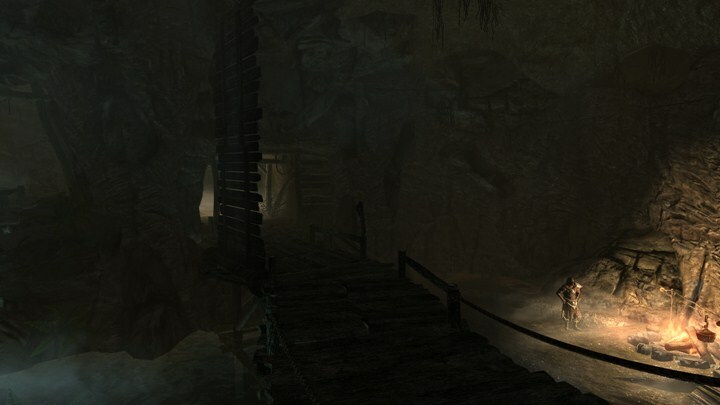 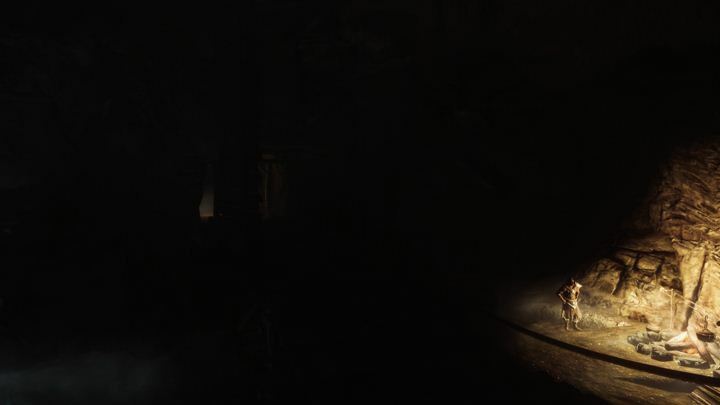 No.12, Dungeon (Night), Embershard Mine, 00:00, , Look at the torch sconce from this side of the bridge. No.13, Sunset lake (Evening), Ilinalta's Deep, 18:30, SkyrimClear, FT and look towards mountains. 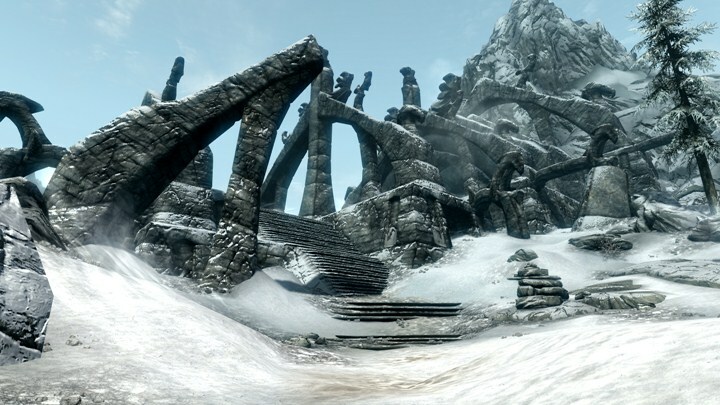 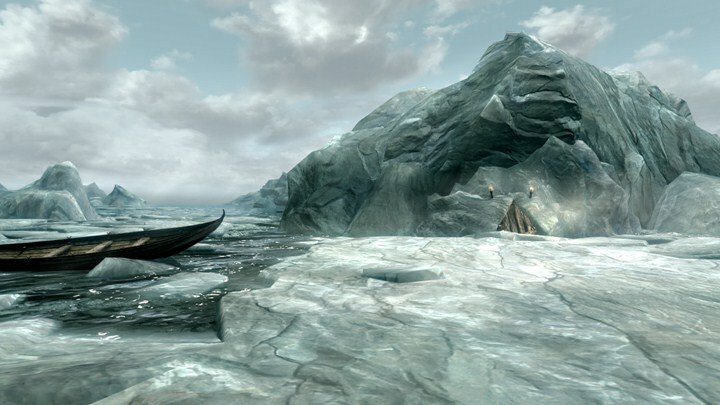 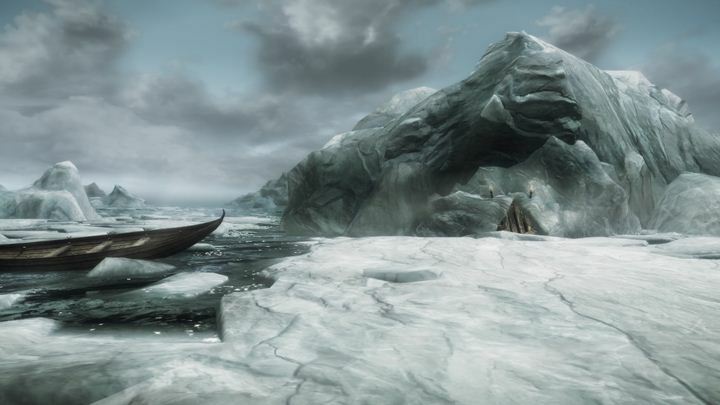 No.14,ICE (Day), Septimus Signus's Outpost, 11:00, SkyrimCloudy, FT Septimus Signus's Outpost and keep still. 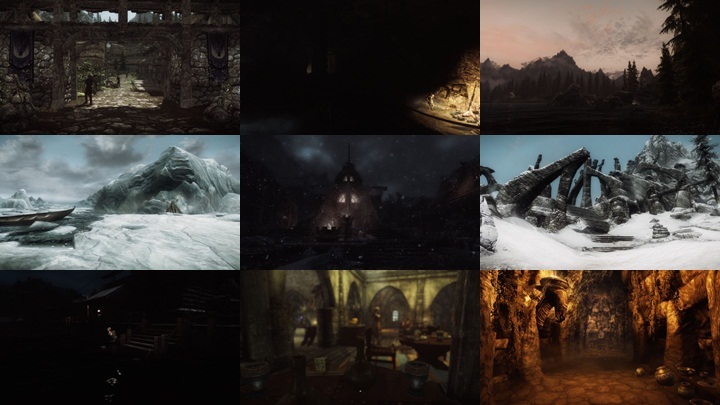 No.15, WINDOWLIGHT (Night), Windhelm, 23:30, SkyrimStormSnow, FT to Windhelm and go out of the door outside a town and Re-enter. 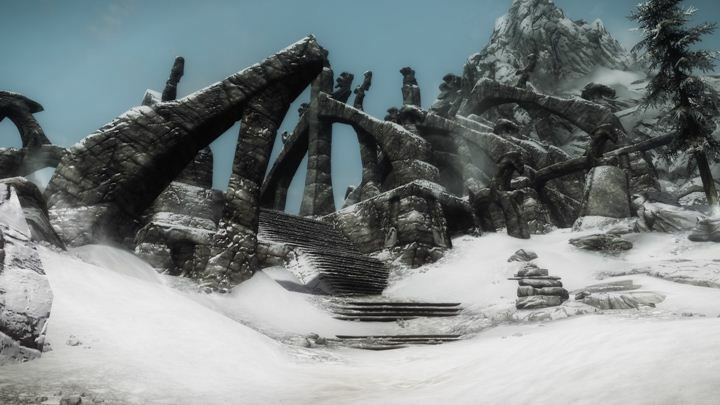 No.16, snow reflected light (Morning), Bleak Falls Barrow , 10:00, SkyrimClear, FT to Bleak Falls Barrow and look towards Ruins. 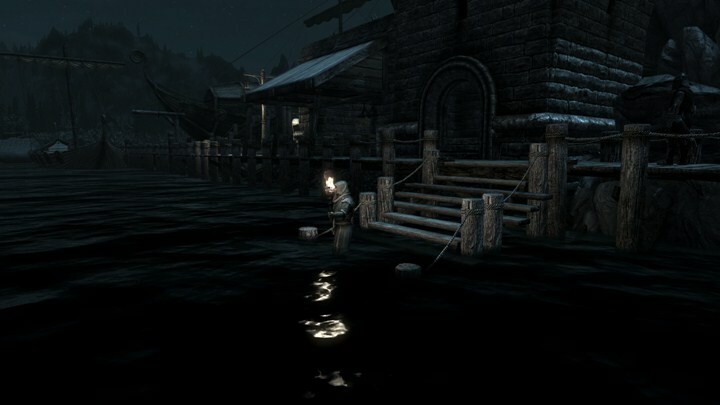 No.17, Water Reflect torch(Night), East Empire Company Warehouse, 00:00, SkyrimClear, Go down the stairs to the top of an underwater ladder. 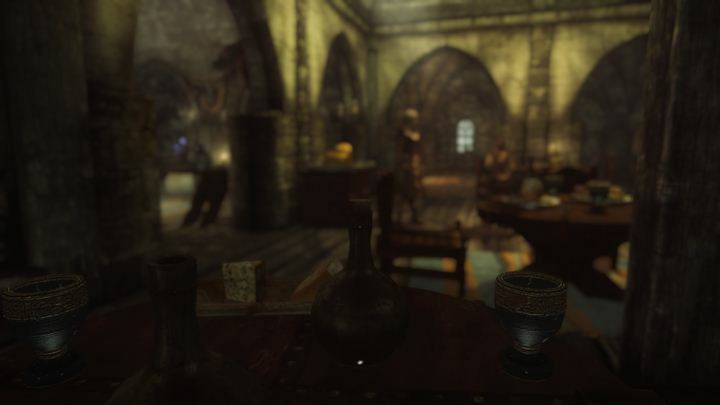 No.18, Dimly lit room DoF (Day), The Winking Skeever, 12:00, , Sit down on a chair next to Belrand and look the cork of the winebottle. 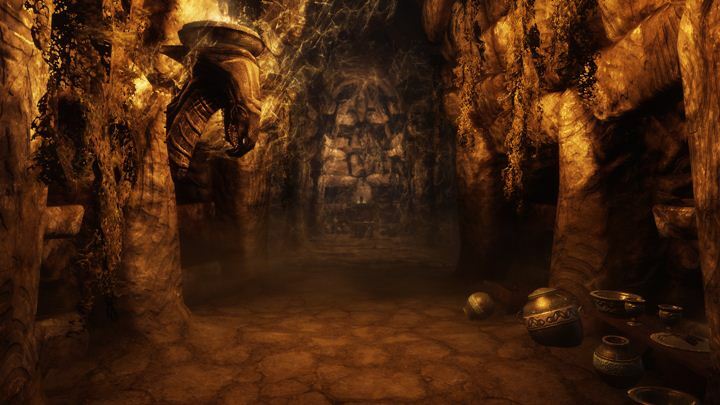 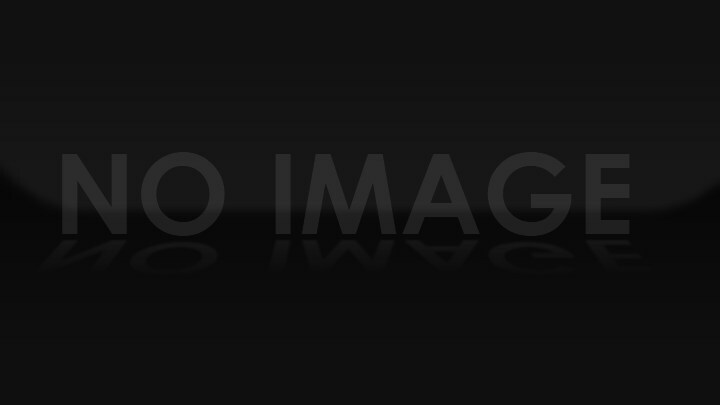 No.19, Lighted Catacombs (Day), Solitude Catacombs, 12:00, , Enter at the front door.